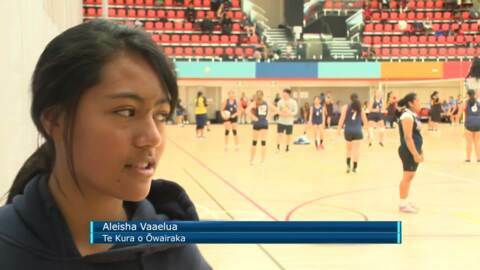 Hundreds of Auckland school-aged volleyball players have gathered in Takanini this week for the junior championships. Three young Taranaki locals and one Aucklander have been named in the national Beach Volleyball teams for the upcoming Youth Olympic Games. Kazna Tarawhiti grew up in the USA. 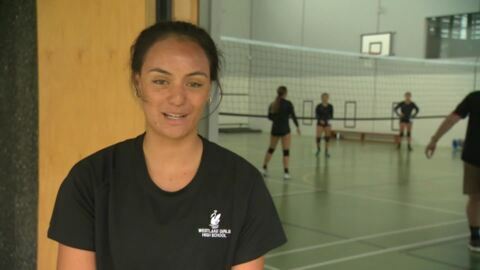 She recently returned to New Zealand with her Utah Valley University Volleyball team. West Lake Girls’ volleyball player Tamara Otene has qualified for the Youth Olympics after taking out gold at the U19 Oceania Youth Qualifiers in Australia. Now she has her sights set on the Olympics. New talent has emerged in the New Zealand Age Group Volleyball Beach Championship at Mt Maunganui. Jazmine Milton of Ngāti Wai, representing North Harbour, is leading the way in her section for the U17 girls. Ōhope hosts the first of the seven NZ Beach Volleyball circuits of the season. Most of the athletes here are vying for a spot in the New Zealand Olympic team heading to Rio. Te Arawa's finest athletes were celebrated for their efforts at the annual awards night held at The Holiday Inn in Rotorua. 16 year old Jaryn Rutene of Te Teko is making his mark in New Zealand Volleyball and spent the weekend training intensely for the Under 17 Men's North Island Volleyball camp. 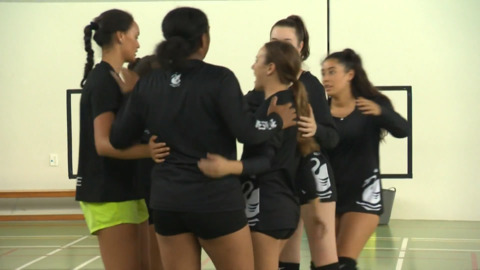 With the New Zealand Secondary Schools Volleyball competition coming to a close today, it saw 145 teams from all across the country competing.